The VizWall is a 14'x4' screen installation that enables large-scale presentation of visual materials or simultaneous interaction with multiple pieces of digital content. 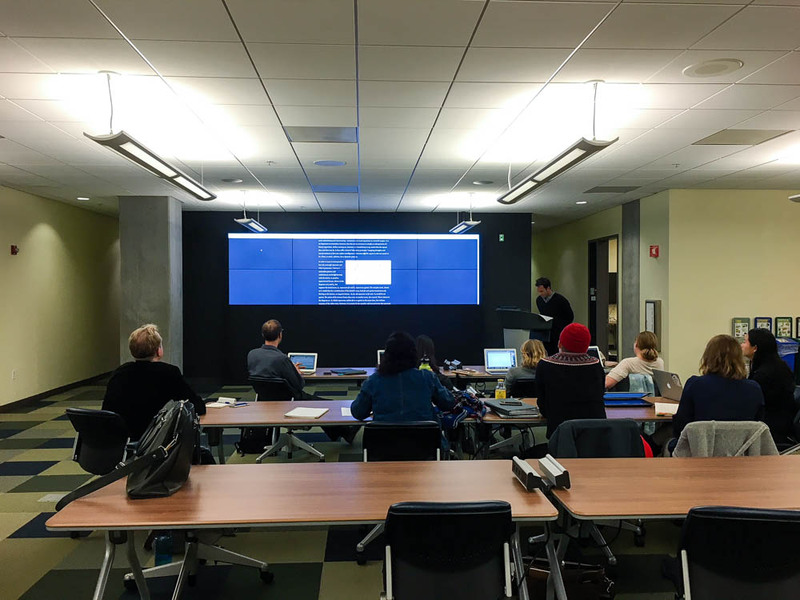 This space offers the entire campus community space to visualize their research and opportunity to create interactive digital media. We are always looking for opportunities to use the VizWall in new and exciting ways. Please be in touch if you'd like to incorporate the VizWall into your class or have a project you'd like to display on the VizWall. We are thrilled to partner with IDEA Hub ➚ and CITRIS and the Banatao Institute ➚.